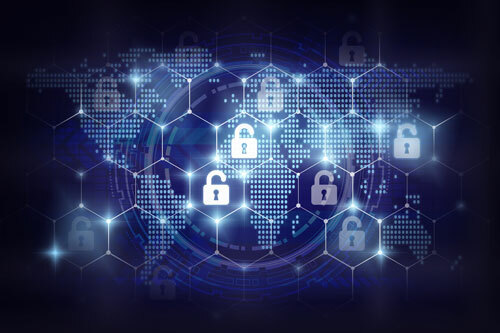 With a major shortage of skilled resources in today’s cybersecurity market, more and more organizations are opting to outsource key security monitoring services to a managed security service provider (MSSP). Whether for log management, managed detection and response (MDR), SIEM-as-a-service, or compliance management, organizations large and small are turning to Lynx to deliver these solutions quickly and cost-effectively. Customers worldwide trust Lynx to meet their security monitoring and compliance needs. Let us help you by becoming the cybersecurity extension to your IT team. Powerful threat detection, incident response, and compliance management across cloud, on-premises, and hybrid environments. Investigate and respond faster without having to manually correlate data from multiple security products. Highly scalable, cost-effective, and easy to setup and manage. Consider this when choosing an MSSP. We are seeing an exponential uptick in the amount of attacks over the last ten years and, coincidentally, the majority of potential targets are shifting from large enterprise to small-to-medium businesses. This slice of the industry has proven especially fruitful for attackers since the typical SMB lacks resources necessary to protect themselves. The reality in the small to medium business/midmarket space is that, while they might have the same security needs of those in the enterprise, they lack the resources required for that level of commitment. This is assuming that they are ready and willing to manage their own security infrastructure. This makes a completely managed security solution, especially one offered at an affordable, monthly cost, an attractive alternative to the costly and inefficient traditional approach to security. Lynx MSSP provides a comprehensive, unified approach to security monitoring, detecting threats, responding to incidents and supporting compliance reports – in one location and combined with real-time threat intelligence. Lynx leverages the power of the award-winning AlienVault Unified Security Management® (USM) platform for comprehensive security monitoring and compliance management across cloud and on-premises environments. AlienVault USM combines asset discovery, vulnerability assessment, intrusion detection, incident response, SIEM, and log management in a single pane of glass for simple, affordable, and effective management. In addition to the unified security management platform, Lynx provides continuous intelligence updates that allow you to spend time responding to threats, not researching them. When you work with Lynx as an MSSP, you share in the benefits and cost-savings of a unified solution that delivers powerful threat detection, incident response, and compliance management capabilities for all of your critical environments. Whether you outsource 100% of your security monitoring or co-manage with Lynx, it’s important to know that Lynx provides the technology and enablement required that is both comprehensive and cost-effective. AlienVault USM is fast to deploy, easy to use, highly extensible, and readily scalable to support your growing business. Know who and what is connected to your environment at all times. Security Operations Center, Network Security Monitoring, Event Management, Threat Management, USB Monitoring, Security Automation & Orchestration, Security as a Service.